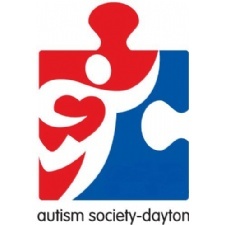 The Dayton Autism Society (DAS) is a non-profit organization which is made up of a board of volunteers who are parents, family members, professionals in the field of disability services, and other interested persons. DAS exists to advocate for, support, and educate families living with autism. The Dayton Autism Society serves families from the greater Miami Valley and an estimated 8,000 families living with autism. These families reside in Montgomery, Miami, Greene, Darke, Clark, Preble, Warren, and other neighboring counties. We host family-friendly events such as an annual holiday party, 5K Run/Walk for autism awareness, swimming, and annual flag football event. One of our favorite events is Family Flag Football. Everyone is welcome to this great exercise opportunity and social interaction. Volunteers who are interested in long-term or significant involvement can attend board meetings or and email in your request to be a board member. Volunteers decorate their vehicles, dress up, pass out candy and toys to families.